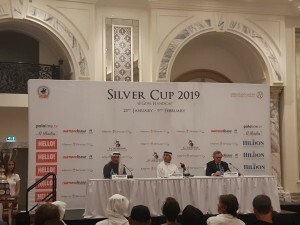 Dubai Polo Gold Cup Series announces the 2019 Silver Cup Tournament Fixture at a Live Draw at the Habtoor Palace Hotel. UAE Polo (Patron: Her Highness Sheikha Maitha Bint Mohammed bin Rashid Al Maktoum) and Ghantoot Polo (Patron: HH Sheikh Falah Bin Zayed Al Nahyan) among the participating teams.The Dubai Polo Gold Cup Series (Dubai Open), an 18-goal handicap competition celebrating its 10th year anniversary under the Patronage of HH Sheikh Maktoum bin Mohammed bin Rashid Al Maktoum, Deputy Ruler, Dubai, launched its 2019 season on January 21, 2019 where the organising committee conducted a live draw for the Silver Cup 2019 fixture at the Habtoor Ballroom, Habtoor Palace, LXR Hotels & Resorts. 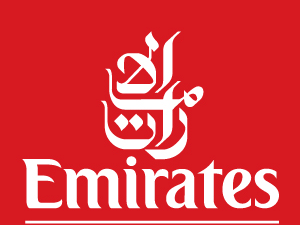 Five tournaments fall under the umbrella of the Dubai Polo Gold Cup Series: the Silver Cup (18 goal handicap), which will run from January 25 to February 8; the Polo Masters Cup (10 goal handicap) from February 10 to 15 ; the Julius Baer Gold Cup (18 goal handicap) from February 18 to March 8; the Dubai Challenge Cup (18 goal handicap) from March 15 to 30 and the Dubai Cup (6-8 goal handicap) from April 2 to 12, 2019. The Dubai Polo Gold Cup Series held in the UAE, is one of only five tournaments in the world played in the WPT Championship Cup category, on a par with world-class events held in Argentina, Spain, the United Kingdom and the United States. The Dubai College of Tourism (DCT), an institution established by Dubai’s Department of Tourism and Commerce Marketing (Dubai Tourism) welcomes the first batch of students as part of the ‘City of Gold’ scholarship, awarded to first-year applicants enrolled for the Certificate of Retail course. As part of the programme, 20 Emirati and expatriate students have received fully-funded academic grants to cover their tuition fees throughout the year. Successful completion of the course will open doors to exciting career opportunities within the Dubai Gold and Jewellery Group (DGJG), a partner for this project, for all candidates, allowing them to enter the tourist-facing workforce with practical experience and valuable industry knowledge. The ‘City of Gold’ scholarship is part of DCT’s ongoing industry collaborations and partnerships, providing students with hands-on training and access to industry expertise. Commenting on the success of the scholarships, Essa Bin Hadher, General Manager, Dubai College of Tourism, said, “The ‘City of Gold’ scholarship programme is the first in a series of scholarships that DCT is committed to introduce to help build and nurture young talent. 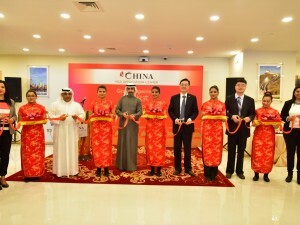 We are delighted with the success of the programme and hope to continue with our endeavour to further train young, eager Emirati nationals and expatriates and help them succeed in Dubai’s rapidly evolving tourism industry.” The ‘City of Gold’ scholarship programme combines classroom learning with real-world experiences, offering students direct industry application in Dubai’s expanding retail landscape. 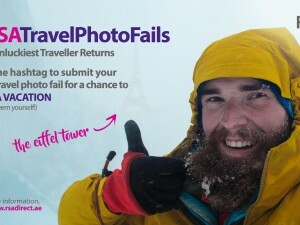 This works in line with DCT’s overarching commitment to attract talented Emiratis and expatriate residents and help them explore rewarding career options in the tourism industry. Festive season is the perfect time to share the joy and happiness of giving. 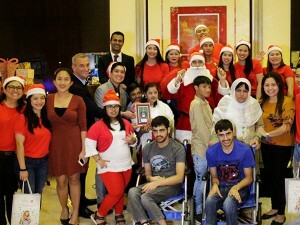 The Novotel, ibis World Trade Centre and ibis One Central team organised a special Christmas Tree-lighting event for children with determination recently to share their love. The festive carols resounded throughout were a delight to the children and their parents alike. The joy of the children resonated within the establishment when Santa Claus walked out bearing gifts for one and all. Rest-assured, this memory shall be cherished and be spoken about for years to come. The countdown to the Christmas Tree Lighting was the finale to the event and who better than Santa, to magically light up the Christmas tree along with the faces of ecstatic children and their loved ones. The festive season is special for everyone, the Novotel and ibis team ensured that each and every single individual left the event with a pleasant memory embedded deep in their hearts.